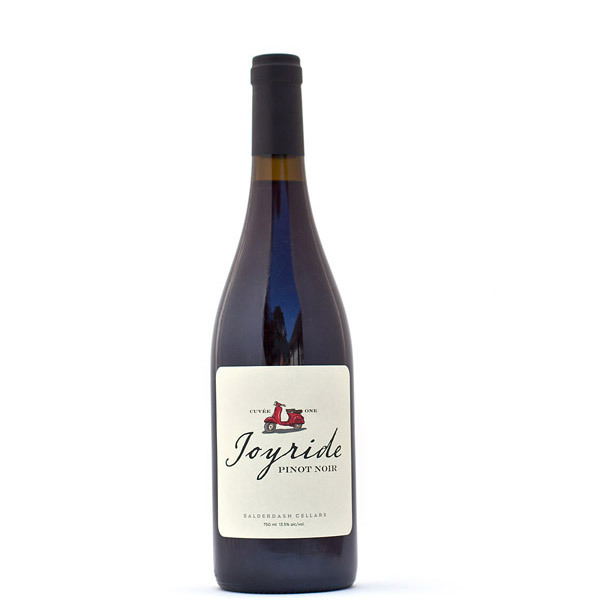 The West Coast style Joyride Pinot Noir 2016 thunders with big, jammy red fruit, a rich tannin structure, and hints of mushroom and sweet wood. Great aging potential. It is drinking beautifully right now, but should be decanted before serving. Grand theft moped with a cheerleading accomplice makes for an enduring family legend (as well as an inspired name). This wine salutes a certain bobbysoxer whose poor father’s moped was swiped right before her eyes while on top of the pyramid. Leaving the key in the ignition may have made the heist just a little easier. We have never given up hope of finding it.